Our policy at Kanpoh Steel Group is to serve society and the next generation while continuing to treasure our relationships with those working in the industry, facilitating new technologies, and supporting the industry. 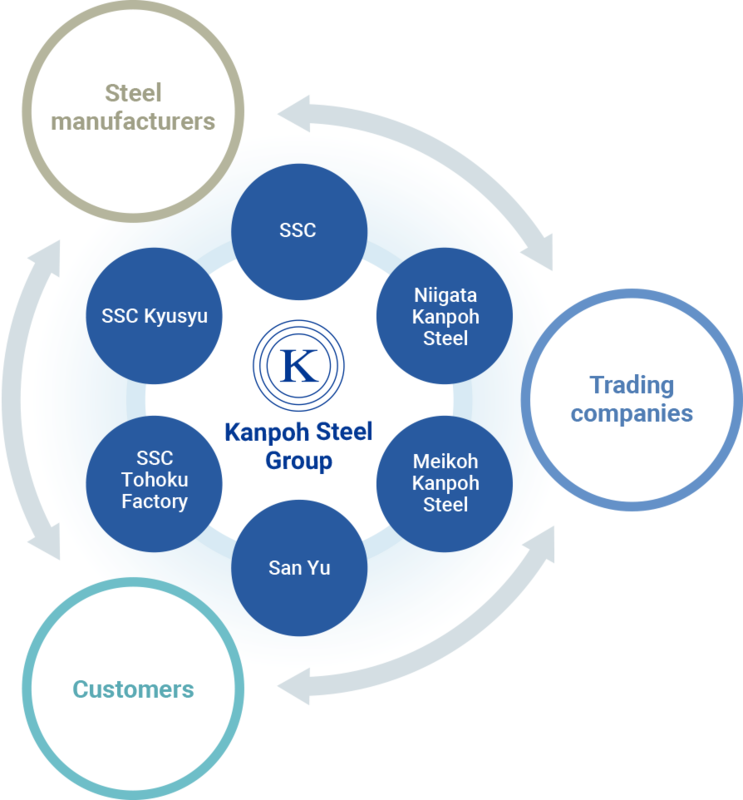 At Kanpoh Steel, we currently operate in two areas of business: as a steel service center where we create and process steel sheets to our customers’ required specifications and as a steel manufacturer where we manufacture and sell our own products such as steel building materials and metal packaging materials. As a steel service center, we are proud to process approximately 1.3 million tons of sheet metal, mostly for major automotive manufacturers. This amounts to over one-tenth of the approximately 12 million tons distributed annually in Japan. As a steel manufacturer, our steel furring, which is used for building materials in walls and ceilings, is highly rated and has enabled us to acquire a top-level share in Japan. 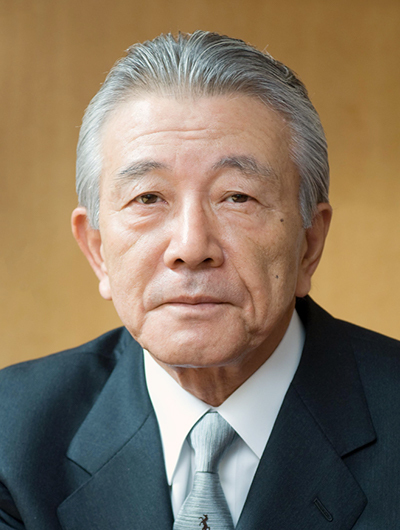 As a corporation that supports manufacturing, the foundation of industry in Japan, our presence is like no other. Our strengths lie in our comprehensiveness and expertise, which allow us to source everything from base materials to products within our group, our ability to adapt to diverse regions due to our nationwide presence, and our agility as an independent company. Please watch Kanpoh Steel with anticipation as we continue to build upon our strengths and reinforce our specializations while taking on new challenges. between the core parties of the industry. Nippon Steel & Sumitomo Metal Corporation / Kobe Steel,LTD. / JFE Steel Corporation / Nissin Steel Co.,LTD. / Yodogawa Steel Works,LTD. / Nippon Steel & Sumikin Coated Sheet Corporation / Nakayama Steel Works,LTD. / JFE Galvanizing & Coating Co.,LTD. / Zhangjiagang Yangtze River Cold Rolled Sheet Co.,LTD. Nippon Steel & Sumitomo Metal Corporation / Sumitomo Corporation / Mitsui & Co.Steel LTD. / Mitsubishi Electric Corporation / Kubota Corporation / Toshiba Corporation / Daiwa House Industry Co.,LTD. © Kanpoh Steel Co., Ltd.